My calendar is filling up with Christmas concerts and holiday parties and plans. This can only mean that the holidays are fast approaching. With that, I’m able to pull out the Christmas sensory activities. 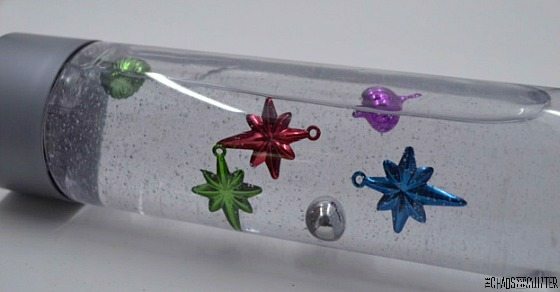 I created this very simple Christmas Ornaments Sensory Bottle using the same items I used for our Ornaments Sensory Bag. 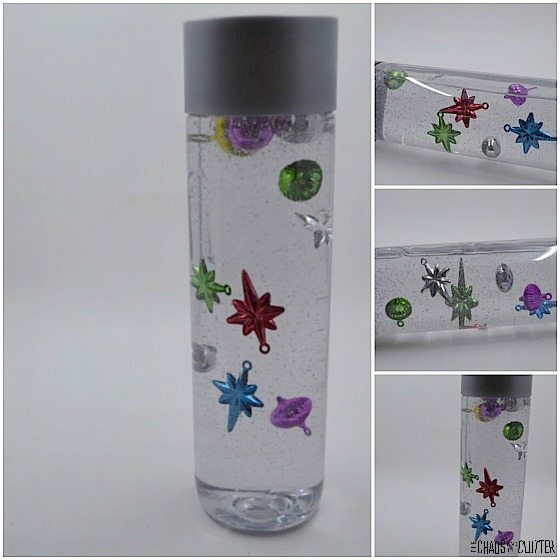 To put together this holiday sensory bottle, empty the water out of the water bottle. Fill it most of the way to the top with clear liquid hand soap. Add some small ornaments. 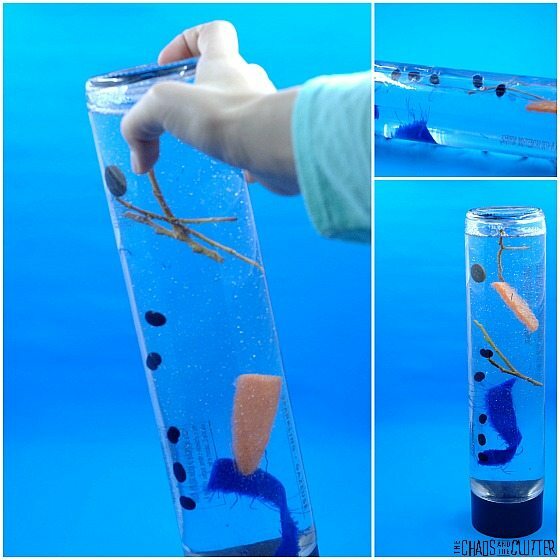 If they get stuck near the top of the bottle, you can use a bamboo skewer to push them further into the bottle. Place the lid back on the bottle. You can secure the lid with hot glue if you’d like. 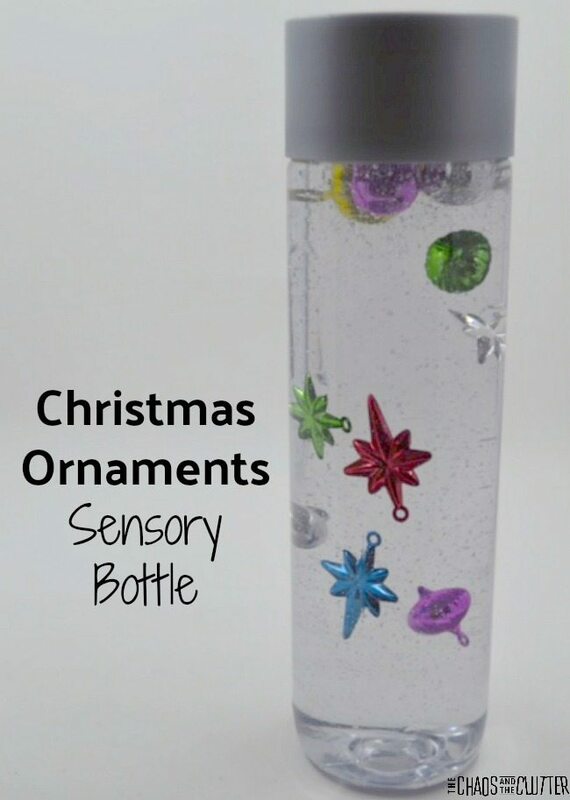 This is especially important if younger children will be using the sensory bottle, but of course, adult supervision is always recommended. 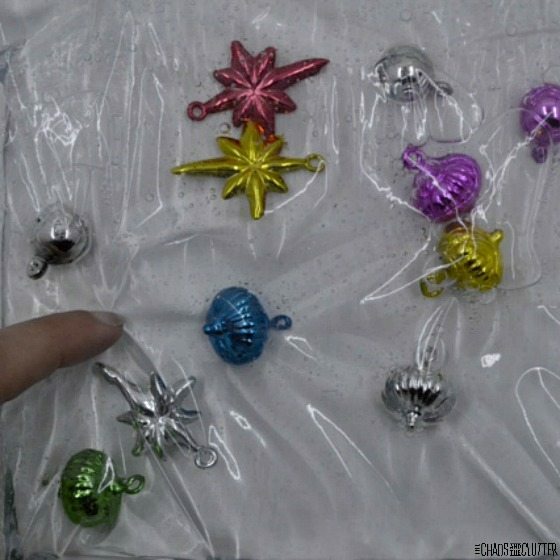 I used the same items to make a Christmas Ornaments Sensory Bag to give my kids another sensory activity option. 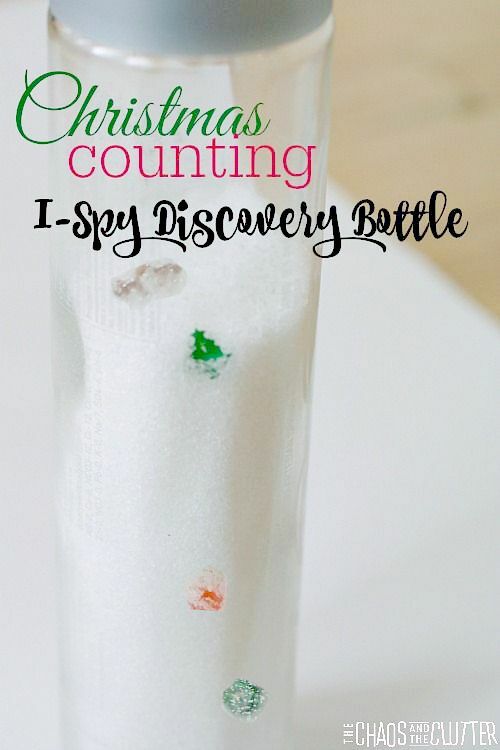 Looking for other sensory activities? Join me for a free 5 part email series Sensory Solutions and Activities and get your Sensory System Behaviours Easy Reference Cards.